A Minister in Argentina issued an apology after posting an appalling display of mockery towards the Christian faith. 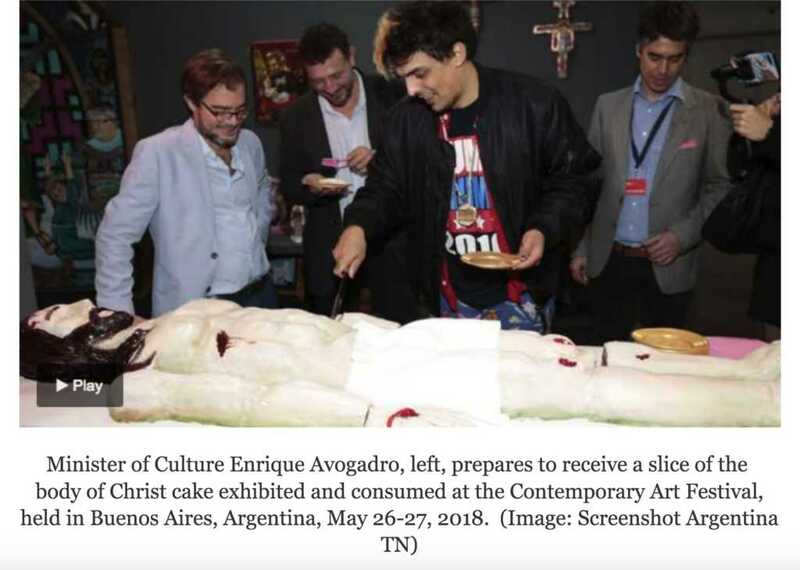 The minister attended an art exhibit in Argentina where he happily ate a piece of cake shaped like the body of Jesus Christ. 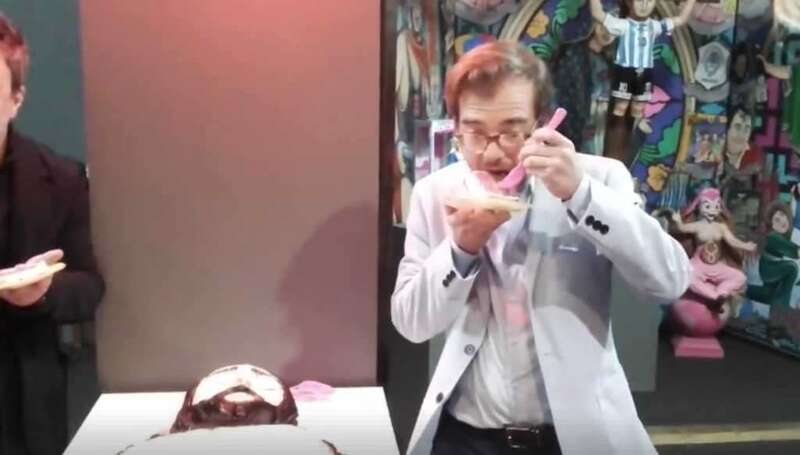 Enrique Avogadro, the Minister of Culture in Buenos Aires, was forced to apologize after intense backlash from the Christian community. The event, The Contemporary Art Fair, took place from May twenty-sixth to May twenty seventh at the Hippodrome of Palermo in Buenos Aires. Featured in the exhibition was the ‘Body of Christ’ cake which depicted a crucified Christ as an edible cake with red velvet ‘wounds’ covering the body. The disrespectful act, once posted to social media, quickly gained traction and attention from people in Argentina and around the world. The minister’s actions sparked outrage and disbelief which led Avogadro to issue a public apology. 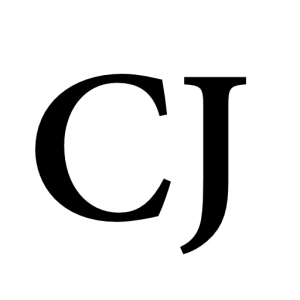 According to FaithWire; write for CNS news, Michael W. Chapman issued the following question; “It is not known whether the “artists” Pool and Marianela have ever made a life-size cake for consumption of the Islamic leader Mohammed or of the Quran, but if they had, it seems highly unlikely that the Buenos Aires culture minister would have unhesitatingly tried a slice, on video, with a big smile on his face.” Chapman inferred that the Argentine minister would not have taken a slice because it would have been rampantly deemed offensive. However, for some strange reason, it is apparently okay for all walks of culture to mock Christianity. Would they do a cake of mohammed and cut him all up? No? Ask yourself ‘why not? Disgusting and offensive on so many levels. People are so horrible these days.